I have a thing with muffins. Like a full on love affair. They’re so simple to make, meaning there aren’t many fails when it comes time to make then. They’re super versatile, so I can change up my recipes, to please my tastebuds. You can make them as healthy or as decadent as you desire. And the best part is, when you’re running late for work and don’t have time to make breakfast, muffins are always there for you. One or two in one hand, and your coffee in the other (of course, along with your purse, lunch bag, phone, keys, sunglasses, kiddo’s backpack, etc etc). Point is, muffins are the best. 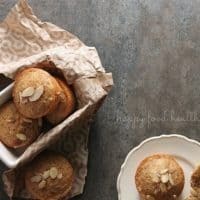 I came across this delicious Almond Orange Muffin recipe from Giada de Laurentiis’ newest cookbook, Feel Good Food and just knew I had to try them out. ‘Tis the season for lots of orange-y flavored foods. There were a few things I wanted to switch up a bit though. I’m always trying to get more fiber into my foods because well… yup, we’re just going to go there (and we are JUST getting started). So I’ve always had stomach issues. Things just aren’t so normal in there. I’m sensitive to lots of foods. Some days it hates spaghetti sauce, other times it’s just fine with it. There’s really no rhyme or reason. I’ve tried cutting out dairy. I don’t eat any meat. I limit the soy. Gluten would be the next thing to attempt to eliminate, but I just don’t wanna… I’m anti-“depriving myself” so I’m just not sure I could cut out all gluten. But I do know that I like to add fiber as much as possible to keep things as “normal” as I possibly can! Which is why I added a fiber “flour” to these muffins. The great part is that they truly don’t even taste all that healthy even though they are. Even my seven year old was “mmm-ing” over them! Preheat your oven to 325 degrees F. Line 12 muffin cups with paper liners or spray with non-stick baking spray. In the bowl of your mixer, beat the sugar and eggs together until pale and thick, about 2 minutes. Beat in the orange zest and juice, coconut oil, yogurt, and vanilla extract. In a separate bowl, whisk together the all-purpose flour, ground all-bran, baking powder, and salt. In batches, stir the flour mixture into the egg mixture until just blended. Stir in the toasted almonds. Pour heaping 1/2 cupfuls of the batter into the prepared muffin cups. Bake until golden on top and a tester inserted into the center of the muffins comes out with moist crumbs attached, about 20 minutes. Cool in the pan on a wire rack for at least 20 minutes before removing. So speaking of the fiber in these muffins and how we can make things work a little more “normal”… I’ve got to tell you about the Squatty Potty. That’s right. The Squatty Potty toilet stool. Funny name, brilliant invention. We are totally going there because here at HFHL we like to talk about all things taboo, and welp, I haven’t talked about poop yet, so here we go. Here’s the low-down. For years and years, like since the beginning of time, humans have been squatting to take care of business. Then the modern toilet came along and, while I’m SO glad for that invention, I’m not sure they thought it all through with that one. Our anatomy is designed to “go” with our knees above our hips in order to completely relax colon muscles. Think of it like a garden hose. It just doesn’t work right when it has a kink in it, does it? Well that’s what’s happening when we’re sitting on the modern toilet. The Squatty Potty is a completely natural solution to this problem. It’s designed to put us right back into that caveman position, while still enjoying the luxury of modern plumbing. The great thing is that it’s not an eyesore in the bathroom either. The Squatty Potty comes in two options, sleek white or a bamboo model. I think they both fit in just fine in my bathroom. 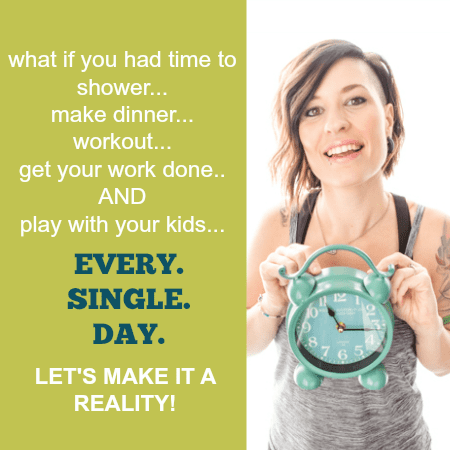 Mom’s especially have reason to love the Squatty Potty, as it assists with childbirth, bladder function (which we all know is shot after children.. one sneeze and you may be done for), and constipation (a common side-effect of pregnancy). The truth of the matter, whether it’s taboo or not, is that everyone wants to feel good about their digestive health. Without that, you’re really not feeling all that great. 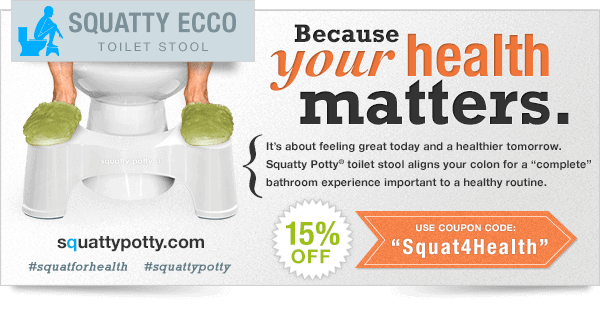 I encourage you to check out the products Squatty Potty has to offer. They are generously offering Happy Food Healthy Life readers a 15% discount on products. Just use the discount code “Squat4Health” to get it. One of their products that I absolutely love is their “Before You Go” spray. It decreases odors so much, and I don’t know about you, but that’s just the worst. When everyone in the house knows you’ve gone. Or you’re a guest in someone’s home and have to go. Just carry the spray with you and you’re good to go pretty much odorlessly! Now that’s something I can live with. ALSO – I’ve joined forces with a few other bloggers to give away a Bamboo Squatty Potty and a $50 Visa Card! How cool is that?? Just fill out the Rafflecopter below, and you will be on your way! So I want to know, what do you do to improve your digestive health? 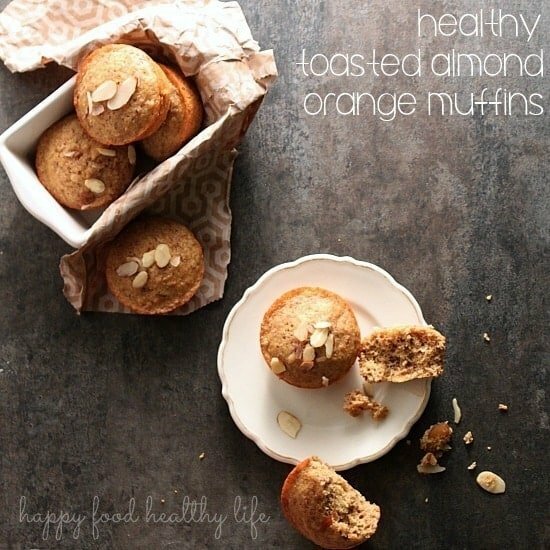 Check out the Healthy Traditions Pinterest Board for other healthy recipes like my muffins. I have been compensated by the client for this post, but as always, all opinions are my own. Holly, this recipe looks like something I’d love, my favorite flavors. But your photo nearly puts the recipe to shame! Its gorgeous! I’m going to take a lesson from you! And great add of fiber to the muffins. Hope you’re well. Wow thank you Heidi! What a compliment coming from you! I totally wasnt feeling this shoot and then I got rid of all the props I had, switched my angle for some sweet back lighting, and boom! This is what I got. As I was eating one of these on the way to work this morning, I thought “wow, these really are fantastic!” The punch of flavor from the orange zest really gets ya. Thanks Heather! I’m in love with them! Shut the front door, Heidi wants to take lessons from you!!! Way to go Holly, those really are some great pics! And the recipe sounds delicious, I actually like All Bran, it’s one of the cereals my Mom’s surgeon recommends for good colon health. Love your info on the Squatty Potty, I’ve read about squatting and it makes so much sense; I had no idea there was a product out there but I’m definitely checking it out now! Glad to see you mention it for childbirth too, squatting can be a great position for delivery! I know, right?! I possibly did a little (or big) happy dance when I read Heidi’s comment 🙂 love her mucho! But yes, I have heard the same about birthing. Much less chiropractic issues for baby if gravity does more of the work. I’m so glad you did this campaign too — I haven’t known how to go about it! We’re loving the squatty potty around here, though. But I think you did a great job. 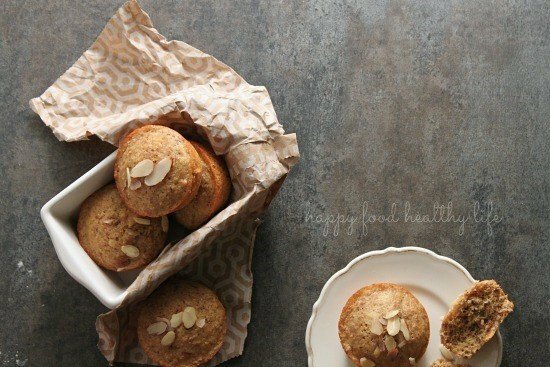 And these muffins look delicious! Definitely going to try them. I know what you mean Katie. Topics like these are hard to be discreet about, but I’m all about talking about the taboo stuff that no one else wants to. These muffins look amazing Holly! Thanks Jen!! They taste it too! 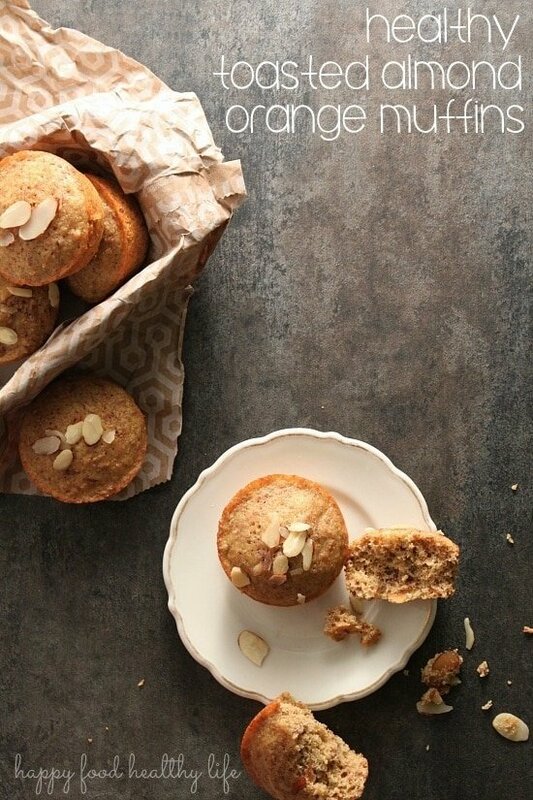 I can’t wait to try these muffins. They look and sound so good. You did a great job talking about an uncomfortable subject. These look fantastic Holly, thanks for sharing on the weekend re-Treat link party!